Is Your Garage Child Safe? Blue Sky BuildersSkywriters Garage BlogGarage SafetyIs Your Garage Child Safe? Many new parents take extra precautions to ensure that their home is safe for their little one. Parents cover up electrical sockets, block off risky flights of stairs, and store dangerous substances out of a child’s reach. Not many parents, however, take the extra step of child proofing their garage. It is no surprise that a garage is not a friendly place for a young child. Full of potentially flammable substances, dangerous tools, toxic chemicals, and even garbage, childproofing your garage is not just a precaution, but a step that’s absolutely necessary in ensuring the safety of your child. Below are a few steps that you can take to prevent dangerous garage situations involving your child. The easiest precaution when it comes to garages is installing proper doors and locks to prevent your child from accessing your garage. Children are often drawn to areas they are told are dangerous, or areas they find mysterious, so put proper obstacles in place to prevent your son or daughter from accessing what is most likely your home’s most dangerous location. Consider a self-locking door to provide peace of mind. You do not want your child wandering into your garage without you knowing about it. Your garage is the safest place in your home to store dangerous substances such as gasoline, oils and paints. Any properly maintained garage should already be implementing safe storage habits to prevent fires, but double check that all of your dangerous materials are safely stored out of your child’s reach. A locked cabinet or box on a high up shelf should do the trick. Check on your tools as well. The tools stored in your garage should be in locked container as well, or stored in a locked workbench. As your child gets older, be sure to remind them frequently that your garage work space is dangerous and off limits at all times. Never leave any power tools plugged in or near plugs. Store any items like ladders lying flat, so a child cannot climb up them and risk falling. Garages often become the trash and junk collector of a household. Practice good garage organizational habits to ensure your child and family’s safety. A messy garage is a fire danger and a threat to your child. Be sure to clean up after yourself once you are done working in your garage. Chemicals spilled anywhere should be cleaned up immediately. Many chemicals have sweet scents, leading children and pets to lick them. Ingesting chemicals you store in your garage such as antifreeze for your vehicle can be fatal for humans and pets. Also ensure that your household garbage is stored in sealed bins and is picked up by garbage collectors or taken to a dump at least once a week. Remember not to leave any flammable materials near appliances like water heaters or furnaces, which are commonly located in garages. These situations start millions of fires each year. And do your best to block of access to water heaters, furnaces, or other warm appliances, as an infant or child’s skin is much more sensitive than adults. Garage doors are extremely heavy and dangerous. Both manual and automatic garage doors are capable of crushing fingers, toes, or potentially a small child. Test your garage door’s automatic opener often to ensure it will stop closing if an object is in the way. Consider placing a small piece of wood under the door, and checking to see if the garage door reverses back upwards once it touches the wood. Optical sensors can be installed to ensure the garage door won’t close if an object or child is in the way. The safest option for a manual garage door is one that has a counter balance system. Remember to always lock your car doors when your vehicle is in your garage. Car doors are easily capable of smashing little fingers and toes. On top of that, if your child is able to get into your car unattended, they may get trapped or hurt themselves. Remember to check for children every time you back out of your garage. Do not allow your child to leave any bikes, trikes, or other fun toys directly in front of your garage door. Many modern cars come equipped with rear view cameras to help increase visibility while backing up. Use your rear view camera every time you reverse from your driveway to ensure nothing, toy or child, is behind you. Taking small precautions can go along way in ensuring your child’s safety around your garage. Becoming a parent is a life-changing, amazing, and sometimes hectic transition. 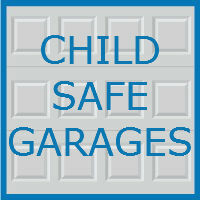 Do not forget to plan ahead for your child’s safety, both in your home and in your garage. A little pre-planning and caution can go along way for the safety of your child. For more useful tips or to inquire about the services we offer in the Chicagoland area, contact Blue Sky Builders online or call (630) 852-8485. 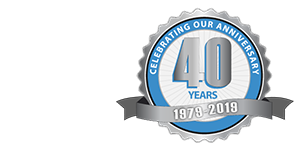 We have successfully served customers throughout the area for nearly four decades.